So you would like to get started birding in York County or you and your family are interested but are not sure how to start. Well, the first step would be to turn off the TV and take a look out a window of your own home and see what you can see. Depending on the season, what birds you may see can be different. If you live in a house, apartment or on a farm you are sure to find some kinds of birds visiting where you live. If you have children or grandchildren, they can be a big help in watching birds with you. The most popular birds of York County should be recognizable. If you are a novice, do not worry. Just make a visit to you local York County Public Library (http://www.yorklibraries.org/) and pick up a few birding guidebooks. If you would like to attract more birds to your yard, deck or porch just add a water feature such as a birdbath, just be sure to routinely change the water. This is done to keep the birds healthy and prevent mosquitoes. 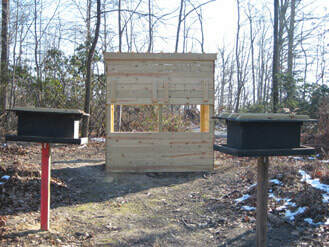 Placing a feeder in your yard will also help attract birds and increase your birding enjoyment. If you now have an interest in learning more and seeing more birds in York County then you are in luck. York County has many areas to visit and see additional bird species. We would recommend checking with your local municipality first for directions to a local park near where you live. Some municipalities have wetlands, wooded areas, meadows, creeks, streams and even lakes that provide specific needs to a variety of bird species. Be sure to visit all of the York County Parks. We recommend starting by visiting Nixon Park. Nixon Park has a variety of bird species on display, a list of common bird visitors, hiking trails and Feeder Watch programs that anyone can participate in. You will be familiar with many more bird species in no time. York County is also blessed with three State Parks. The parks are Samuel S. Lewis State Park, Gifford Pinchot State Park and Codorus State Park. All three parks have unique diversity and natural scenery. If you are visiting Gifford Pinchot State Park during winter, be sure to stop by the bird blind and watch the birds visiting feeders maintained by York Audubon Society. 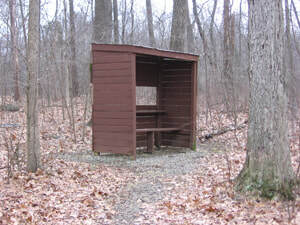 The bird blind is located in the Day Use Area at Pinchot State Park. 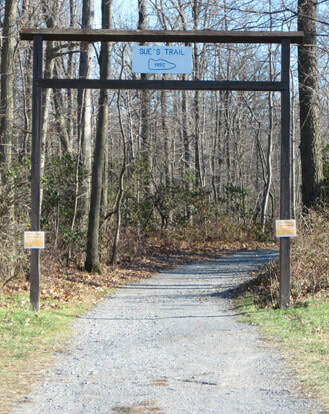 How to find the Bird Blind at Rocky Ridge Park: From Mount Zion Road (Route 24) take Deininger Road east to the end in Rocky Ridge York County Park and park under the power lines. Follow Sue’s Trail at the arch on the east side of the parking lot. It’s just a short walk down Sue’s Trail and the Bird Blind is located on the left side in the woods. 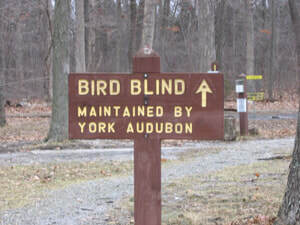 York Audubon Society is in the process of having signs made to provide guidance in finding the Bird Blind.